He, however, ducked the question as to who would be his choice as the next prime minister. 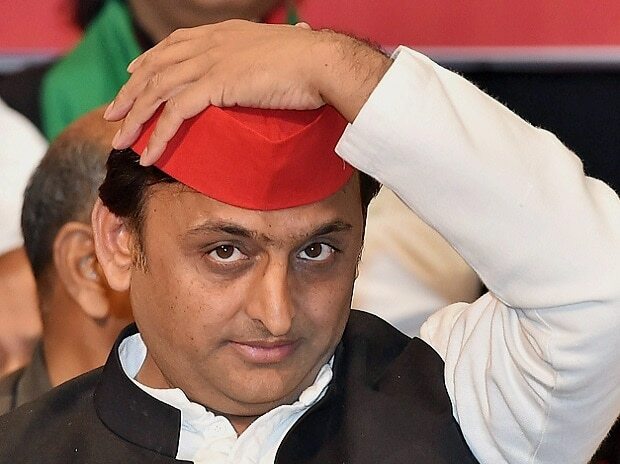 Maintaining that the SP will only "concentrate" in Uttar Pradesh, Yadav ruled out any understanding with the Congress in the state in the Lok Sabha polls. "I will not say anything on this," he said. On the BJP, Yadav said, "It had promised many things, but those were never met. The common people are fed up with it and are looking at an alternative. They have only hope, which is the SP-BSP alliance." Attacking the saffron party, he said it had changed its Uttar Pradesh in-charge only to save one seat (of Prime Minister Narendra Modi). "The BJP MPs did not work on the ground. They never visited their areas. Now it is being said that they are going to change 60 per cent of their candidates. But such tricks will not work now," Yadav said. In a lighter vein, he added, "If only they can manage to control the stray cattle, they can get some votes of the farmers." On the claim of JP Nadda, the BJP's poll in-charge for Uttar Pradesh, that the saffron party would win 74 Lok Sabha seats in the state, Yadav said, "They can claim of winning even 82 seats, despite the fact that Uttar Pradesh has only 80 seats." Nadda, the Union health minister, during his visit here this week had asserted that the BJP and its allies would bag at least 74 Lok Sabha seats -- one more than the NDA tally in 2014 -- in Uttar Pradesh. On reports of a slew of poll sops the Centre was planning to announce in its Budget, Yadav said, "All the major steps of the Centre like demonetisation, GST and claims of good governance have failed. They cannot be trusted. I want to alert my party workers that the BJP cannot be trusted. They can resort to any conspiracy or gimmick for political gains." On the ongoing Kumbh at Allahabad, the SP chief said, "They (BJP) have renamed the Ardh-Kumbh as Kumbh. At Kumbh, people are not invited. People themselves come to attend it to attain 'Moksha' (salvation). Are they calling people for Moksha?" Asked about state Director General of Police (DGP) OP Singh's claim that the crime rate was witnessing a downward trend in Uttar Pradesh, Yadav questioned the data. ALSO READ: Elections 2019: Will SP-BSP alliance maths trump Modi's chemistry in UP? "The Centre's data claims to have given jobs to the youth. Did they get those jobs? The law-and-order situation of the state is known to all. The lie will not work any longer," he said. On reports that the Central Bureau of Investigation (CBI) might quiz him in connection with a mining scam, Yadav said, "I will answer them. These are the BJP's tactics ahead of the polls." On the possibility of his wife and Kannauj MP Dimple Yadav contesting the Lok Sabha polls, the former Uttar Pradesh chief minister said, "I do not want her to contest this time. However, the decision is hers. We have to bring up three children. The house is now far from the children's school. How to manage their tuitions etc. needs to be seen." "They (the BJP government) have not approved the map for our house construction. They do not understand the responsibilities of a family as they do not have one," Yadav said.